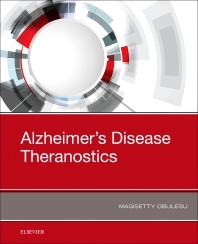 Alzheimer’s Disease Theranostics discusses the latest information on recent theranostic avenues for both the diagnosis and treatment of Alzheimer’s patients. It presents the pros and cons of the probable mechanistic role of nanoparticles in crossing the blood-brain barrier and improving disease symptoms. Finally, it highlights the merits of existing maneuvers and suggests perspectives to aid in future developments. Despite the difficulty of drug delivery to the brain, there are some nanoparticulate platforms demonstrating promise in treating neurodegenerative disorders such as Alzheimer’s disease. Manifold theranostic maneuvers include antioxidants, natural bioactive compounds, gene therapy, and nanotechnological approaches, all of which are discussed in this important work. Chapter 1 focuses on an overview of Alzheimer’s pathology and current therapeutic strategies. It also highlights the shortcomings of existing therapeutic strategies. The multitude of theranostic tools employed to diagnose the disease will be highlighted in this chapter. Chapter 3 highlights the wide range of antioxidants used in the treatment of Alzheimer’s and their associated bioavailability issues, where applicable. Although various natural compounds have been employed to treat Alzheimer’s, their success is limited by a few shortcomings. This chapter focuses on the pros and cons of compounds currently in use. 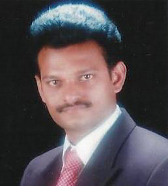 A wide range of strategies have been employed to overcome blood brain barrier challenges. A review of more recent findings will be highlighted in this chapter. More recently, researchers have employed gene therapy strategies to overcome neurodegeneration. This chapter highlights these strategies. Extensively used viral vector therapeutics for treating Alzheimer’s will be highlighted in this chapter. Mitochondria targeting has been of utmost important for nanotechnology researchers due to its potential to combat several diseases. They are highlighted as are shortcomings and future perspectives. Despite the significant therapeutic efficacy of antioxidants, short systemic circulation impedes their success. This chapter focuses on nanoformulations that have been discovered to overcome these issues.